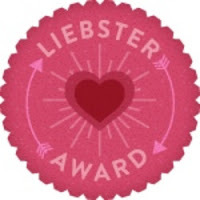 So the lovely Lucy Rose has nominated me for a Liebster Award! You must post 11 random facts about yourself. You must answer 11 questions from the person who chose you. You must create a new set of 11 questions for who you tag. You must tag 11 blogs with under 200 followers and let them know. You can not tag back. I am petrified of swans. I hate my nails not being painted. My favorite film is Dirty Dancing and i probably know all of the words! I have a degree in Social Science. I hate being in massive crowds. I am in love with Newcastle and i want to live there one day. I want to marry Johnny Depp. I love dolphins, i want to swim with one one day. I started my blog after reading other people's for the past few years and realising that i could relate to them and thought that by writing my own blog i could share my experiences with others and hopefully inspire someone else to do the same. Obviously MAC but i also love Dior and Chanel when i can afford it, but i'll say MAC. Hmm.. probably MUA. It can be a hit or miss but usually i love their products and it's to inexpensive! The most interesting thing thats happened to you? This is a hard one! Nothing interesting has really happened to me? Emm.. i got my tonsils taken out? haha! Another hard one. I'm going to say Kate Moss. She's always gorgeous. Well if you follow me on twitter you will know that i recently dropped and smashed most of my Naked2 palette but, i like Naked original the most so i'm glad it wasn't that one! Your go to beauty product? It would either be foundation or mascara, but i'm going to pick mascara. I hate my eyes without it! Lots of people inspire me in different ways, but picking one person i'm going to say my mum. She helps me through anything and even if i'm wrong she'll always stick by me. She is the strongest person i know. Just a simple one but always remove makeup before sleeping. I've lived by this since my gran told me if i didn't i would get wrinkles. I don't know if it's true but it's stuck with me! Your stuck on a desert Island where you could take 5 things, what would they be? Mascara, food(haha! ), insect repellent, a notebook and a pen! Shopping. Retail therapy solves everything right? What is your favourite fashion trend right now? Which one beauty product would you live without if you had to? High street or high end makeup? Your favourite high street fashion shop? Hope you don't mind that i nominated you girls and hope you enjoy answering the questions! Even if I've not tagged you, you can still use my questions and take part if you want to :)! Thanks again Lucy for nominating me! This sounds like a great tag! Will head over and check them out!